Have you ever noticed that inspiration never sleeps? Some of the best ideas strike when the mind is at rest, as was the case with the birth of Days for Girls. In this Ecwid and Wix partnership story, we’re going to share the insights that we learned from Celeste, Founder & CEO of Days for Girls, about managing a rapidly growing global nonprofit organization. With the simple tagline — Every Girl. Everywhere. Period. Days for Girls has reached over 640,000 people in 100 countries since their inception in 2008. They bring vital hygiene supplies and health education to girls in need globally and are working to end the stigma around menstruation. The best part, it’s working! Days for Girls is on track to attain their goal of reaching 1 million girls and women by the end of 2017. Let’s see how they’ve come this far, and where they’re heading next. Days for Girls was founded in 2008 by Celeste Mergens when she learned about the high dropout rates for puberty-aged girls around the globe due to lack of sanitary menstrual supplies. A lack of basic sanitary supplies meant that instead of going to school, girls were kept home during their periods. This new knowledge literally kept Mergens up at night, until the idea to start Days for Girls hit her and she took action. There are a lot of things that are difficult to solve in the world — this doesn’t have to be one of them. This we can solve, together, explained Mergens. Days for Girls’ mission is to restore health, dignity, and education around the globe by providing women and girls access to sustainable feminine hygiene solutions and promoting health education in underserved communities. How are they going to achieve this bold mission? By enlisting a global organization of volunteers committed to improving girls lives — one stitch, Kit, and a girl at a time. And, by taking their message to the web, the ultimate worldwide platform. 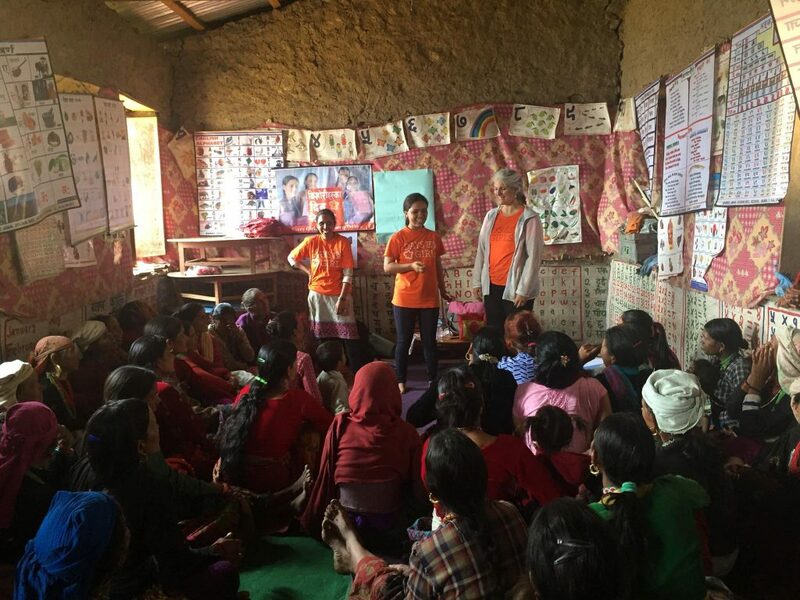 After receiving recognition from a number of organizations and publications they created impact partnerships with global brands like dōTERRA, Revlon, The Honest Company, and Deloitte to magnify their message even further. What seemed like a very simple solution — providing sanitary supplies, was actually more complex than first envisioned. At the start, disposable sanitary pads were sent to girls in need at an orphanage in Kenya. It didn’t take long for the Days for Girls team to receive feedback that the supplies were appreciated, but disposal of used items was problematic in many places. Mergens realized that a sustainable, reusable solution that went beyond a simple pad was necessary and the DfG Kit was born. No one was talking about menstrual hygiene at the time, Mergens explained. This was 2008, and no one was talking about the importance of menstrual hygiene in education, or as a key water & sanitation issue, so we didn’t have a lot of examples to lead the way. Improving the usability of a product with new iterations is something that many entrepreneurs can relate to. Like all good designs, the DfG Kits have gone through multiple revisions (28 to be exact!) to reach their current state. The magic of Days for Girls comes from their unique combination of volunteerism and social enterprise. 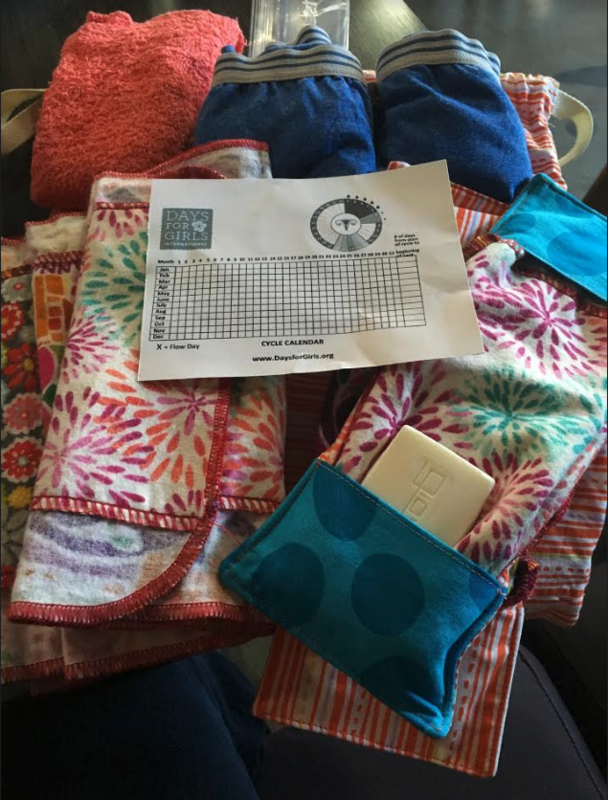 Free Kits are sewn by volunteer Teams and Chapters, and sent out into the world via a distribution network of partner organizations and individuals. This is complemented by Days for Girls’ Enterprise programs, which employ local women to sew and sell Kits. Enterprise members keep all of the funds they raise. Enterprises work really well in places where women or organizations might be able to afford Kits or Kit components (which is the case in many areas.) At the same time, there will always be women and girls who can’t afford hygiene supplies. This is true in the United States as well as Zimbabwe. For this reason, Days for Girls combines both approaches, to ensure every woman and girl has the solution she needs. Four years ago, Days for Girls had approximately 60 Chapters making kits. 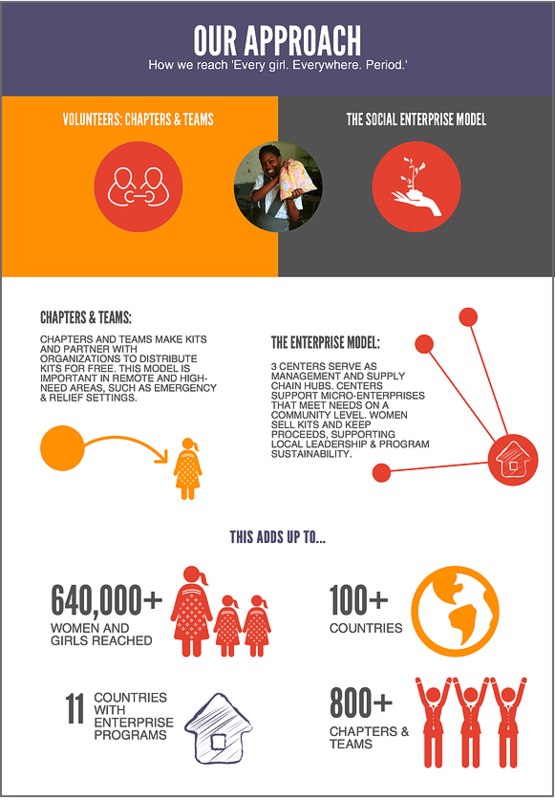 Now, Days for Girls has over 900 Chapters on around the world, and Enterprise programs in 15 countries. In 2016, approximately 50,000 volunteers were active in some capacity. When I learned that Days for Girls is operating in almost every major city in the United States I met up with Teagen, the head of our local San Diego Chapter where I got a first-hand view of the Kits. Super soft flannel cotton cloth and cute prints are used to make the Kits both comfortable and attractive. 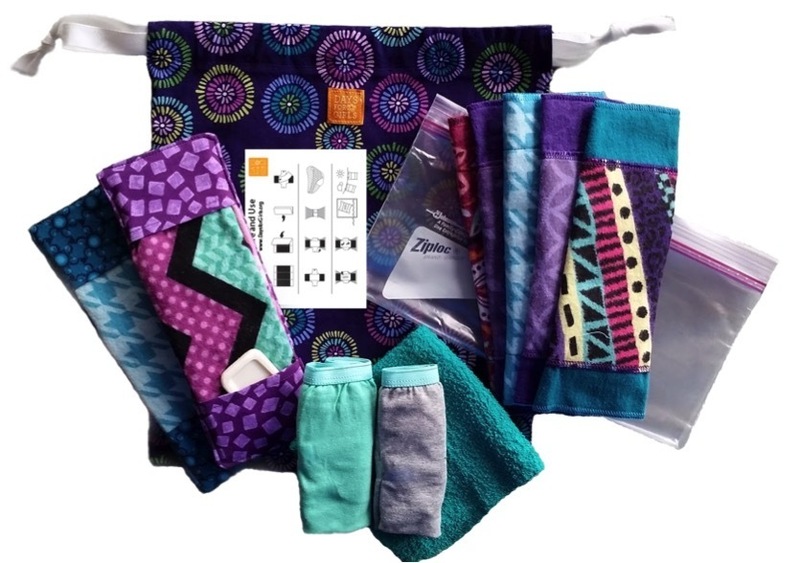 The outer bag doubles as a school bag or purse for the girls and the reusable plastic bags make transporting soiled items to the wash clean and easy. Also included is a cycle calendar that enhances the dialogue about health education, another primary focus of Days for Girls. The foundational tool that connects Days for Girls with supporters and volunteers is their Wix website — DaysforGirls.org. We looked at a lot of different platforms, and Wix just had everything we needed. We love the new editor, and the many apps that come with the site,” shared Mergens. Days for Girls often uses ShoutOut, Wix’s emailing platform, in addition to the website builder. In any business — nonprofit or for profit — running lean and identifying new revenue sources are keys to sustaining growth. 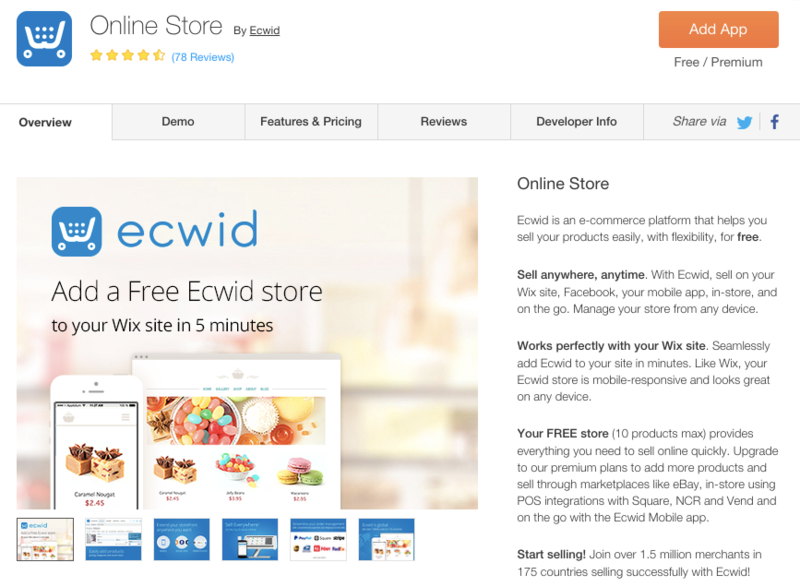 This is where Ecwid comes into the picture. Mergens found us in the Wix App Market in 2016 and added the Ecwid store to the existing Days for Girls website. Days for Girls uses Ecwid to sell branded items in their online store. The clothing items are created by women that the organization employs via their social enterprise model in Uganda and Ghana, and the giclee prints and trinkets ship from various locations in the United States. In a nonprofit organization, every dollar saved means more money remains available to support the cause. Shipping rates, especially when miscalculated, can take an oversized bite out of much-needed revenues. The diversity of global shipping options with Ecwid has been a key to the successful operation of Days for Girls’ multi-faceted distribution network. Days for Girls has grown in leaps and bounds since their start in 2008. What began as a practical solution to help girls stay in school during their periods has evolved into a social enterprise employing and empowering women and girls in Africa, Asia, and Central and South America. They are a part of a larger global movement that has developed to support women’s empowerment through education and localized investment opportunities. Though the bulk of the girls served are in developing nations, Days for Girls is also making an impact here at home in the U.S. where they have distributed Kits to low-income schools, homeless shelters, and to the women’s prison system in New York. Ecwid and Wix are committed to helping Days for Girls meet their 1 Million reached goal before the end of 2017. Since we met Mergens (almost 3 months ago), the Days for Girls website has been revamped with a great new look, and sales in their online store have almost doubled. There are so many ways to get involved. We invite you to volunteer, join their mailing list or simply spread the word!